Be the first to share your memories or express your condolences in the Guest Book for RONALD EUGENE WILLIAMS. Ronald Eugene Williams passed away peacefully in his sleep on March 15, 2019 at his home at Touchmark in Vancouver, Washington. He was born to parents, Seneca Thomas Williams and Helen Irene (Sebring) Williams on Sept. 8, 1928 in Buena Vista, Colorado. He married Phyllis Ann (Gardner) Williams in 1950, and they had two children. Early in his career, he was employed as a member of ground radar technical teams, and later as a civil engineer working for the military at various satellite tracking stations. Ronald moved the family 12 times during his career due to project assignments with Philco-Ford, Lockheed Martin and the Ford Aerospace Program. Several of his jobs took them back and forth to California, Alaska and Hawaii. Ronald and Phyllis found “paradise” while working and living in the Seychelles Islands off the coast of Africa in the mid 1970’s. Retiring to Washougal, WA from California in the early 1980’s, Ron and Phyllis built their forever home and named it “Tree Tops”. Many family memories were made at “Tree Tops” with the grandkids and great grandkids. 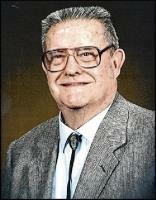 Ron was an active member of the St. John’s Presbyterian Church in Camas. He volunteered at the Share House in Vancouver as well. He was preceded in death by his parents; and wife, Phyllis, in 2003. He is survived by his daughter, Terri Ann London (Brad); and son, Martin Philip Williams; nine grandchildren; and ten great-grandchildren. There will be a private family memorial at a later date. With his love for animals, Ron would have been thrilled to have any donations made in his memory to the West Columbia Gorge Humane Society. Straub’s Funeral Home handled his arrangements.